Many of us don’t consider tortelloni or tortellini, as a pasta made for salad. 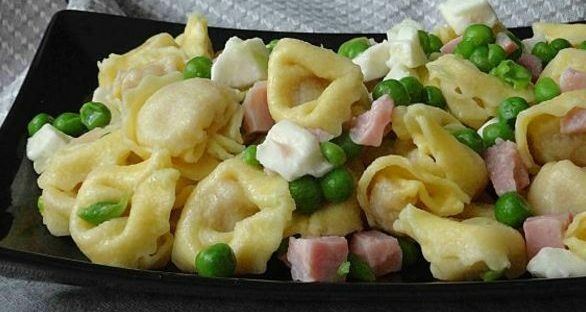 However, tortelloni salad with peas and ham is a delicious recipe to prepare during the summer. It’s full of flavour and a dish made for picnics, grill-outs and simply shared with friends and family. 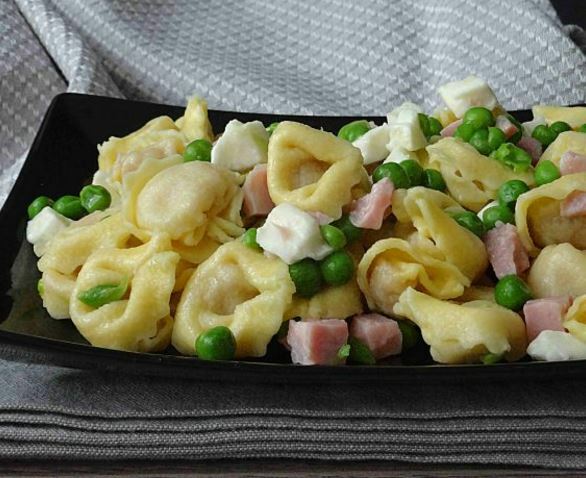 The addition of fresh mozzarella adds some extra creamy, cooling texture and flavour to this dish of tortelloni salad. 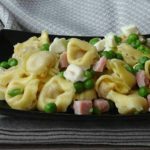 The peas add sweetness and the ham adds a brilliant salty touch which will bring you back to this recipe time and time again. Let the peas thaw for half an hour. Bring plenty of lightly salted water to a boil, add the tortelloni and cook as directed. Then cool them under cool, running water. Allow them to drain a little more. Bring all of the ingredients together (except the mozzarella) in a large mixing bowl. Stir it all together, cover and chill in the fridge for up to 2 hours. Before serving, add the mozzarella.